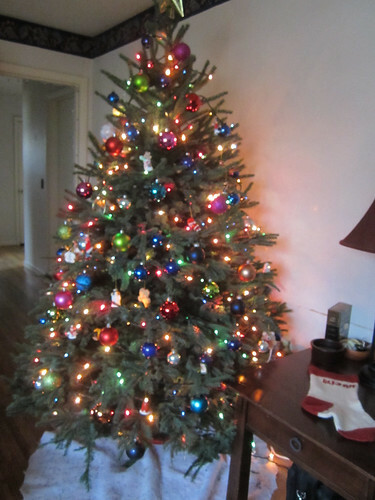 We did get the tree and decorated it on Friday afternoon. I am sorry that I forgot to get any pictures of the process, so you’ll just have to use your imagination on what that was like. The children do it all, and I think it is beautiful! 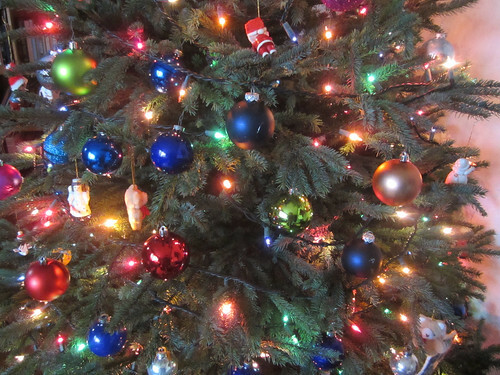 Most of the shopping is done but the presents aren’t wrapped yet. We tend to wait until Christmas Eve to put out the presents since SOME PEOPLE (and they know who they are) can NOT leave them alone if we put them out early. LOL! 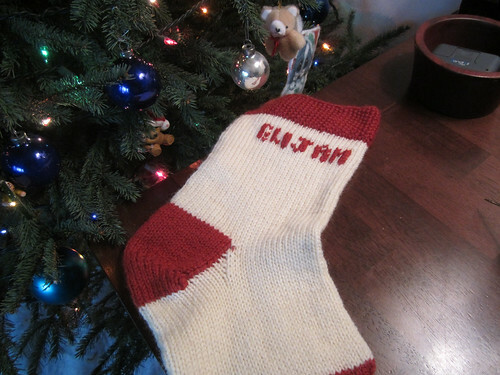 I finished Elijah’s stocking on Saturday night. After that I did a little knitting on the sock but it’s not much bigger yet, so I didn’t bother getting a progress picture of that yet. 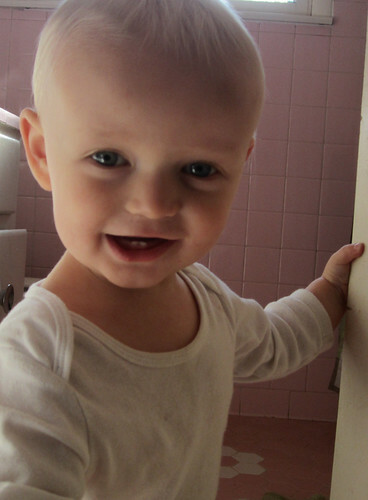 Sorry I don’t have a whole lot to blather about today, but here’s a cute picture of the little man to distract you. Later!